Enix Corporation(株式会社エニックス,Kabushiki-gaisha Enikkusu) was a Japanese video game publisher that produced video games, anime and manga. Enix is known for publishing the Dragon Quest series of role-playing video games. Yuji Horii is a Japanese video game designer and scenario writer best known as the creator of the Dragon Quest series of role-playing games, supervising and writing the scenario for Chrono Trigger, as well as the first visual novel adventure game Portopia Serial Murder Case. Door Door is a puzzle-platform video game designed by Koichi Nakamura and published by Enix. As Enix's debut title, Door Door first released in February 1983 for the NEC PC-8801 and was subsequently converted for other Japanese computers. The game's success prompted a Famicom port and an expanded edition in 1985 as well as a mobile phone release in 2004. In 2006, editors of the popular Japanese gaming magazine Famitsu placed the game among classics such as Super Mario Bros. and Donkey Kong in its listing of the best Famicom games. Despite its popularity, Door Door has never been released outside Japan. From 1983 to 1993, Enix published games for Japanese home computers including the NEC PC-8801, MSX, Sharp X68000, and FM-7. Beginning on the Famicom, Enix published the very successful Dragon Quest series, which, after the formation of Square Enix, had already sold over 35 million copies worldwide. Although the first few titles were developed by Chunsoft, other companies would also develop main installments, spin-offs, and remakes for the series including Heartbeat, ArtePiazza, TOSE, and Level-5. The Dragon Quest franchise would carry over as one of Square Enix's most important assets. Other notable franchises published by Enix include the acclaimed Star Ocean and Valkyrie Profile series by tri-Ace, both of which would also continue with Square Enix. The company Quintet developed several role-playing games for Enix such as ActRaiser , Robotrek , Soul Blazer , Illusion of Gaia , and Terranigma for the Super NES. Taito Corporation is a Japanese video game developer and publisher of arcade hardware and mobile phones, and an operator of video arcades. It is also a former publisher of home video games. Taito is wholly owned by Square Enix Holdings. Despite being a subsidiary to Square Enix Holdings, the parent company has kept the branding of Taito distinct from Square Enix. Dragon Quest, published as Dragon Warrior in North America until 2005, is a series of Japanese role-playing video games created by Yuji Horii and his studio Armor Project. The games are published by Square Enix, with localized versions of later installments for the Nintendo DS and 3DS being published by Nintendo outside of Japan. With its first title published in 1986, there are eleven main-series titles, along with numerous spin-off games. In addition, there have been numerous mangas, animes and novels published under the franchise, with nearly every game in the main series having a related adaptation. The Slime series is a spinoff series of games from Dragon Quest featuring its Slime character. Three games have been released, the second of which, Dragon Quest Heroes: Rocket Slime, has been released in North America. Dragon Quest Monsters is a spin-off series of the Dragon Quest games. Published by Square Enix, it sets the player in a medieval/fantasy world filled with magic, monsters and knights. Unlike the original Dragon Quest games, the player's character does not do any of the fighting in battles; instead the player has to rely on capturing, breeding and raising monsters to do the fighting for them. The concept originated from Dragon Quest V (1992). The character and monster designs are by Dragon Ball creator, Akira Toriyama. The series spans several handheld gaming systems, and each game has received positive reviews from critics. Upon the series' debut in the US, it was quickly labeled as a "Pokémon clone" by critics. Dragon Quest VII: Fragments of the Forgotten Past is a Japanese role-playing video game developed by Heartbeat and ArtePiazza, and published by Enix for the PlayStation in 2000. It was released in North America in 2001 under the title Dragon Warrior VII. The game received a remake on the Nintendo 3DS on February 7, 2013 in Japan, which was released in North America and Europe for the Nintendo 3DS under the title Dragon Quest VII: Fragments of the Forgotten Past in 2016. A version of the game for Android and iOS was also released in Japan on September 17, 2015. Dragon Quest II: Luminaries of the Legendary Line, titled Dragon Warrior II when initially localized to North America, is a role-playing video game (RPG) developed by Chunsoft and published by Enix in 1987 for the Family Computer as a part of the Dragon Quest series. Enix's U.S. subsidiary published the American version, Dragon Warrior II, for the Nintendo Entertainment System in 1990. Dragon Quest II is set one hundred years after the events of the first game. Dragon Quest IV: Chapters of the Chosen, titled Dragon Warrior IV when initially localized to North America, is a role-playing video game and the fourth installment of the Dragon Quest video game series developed by Chunsoft and published by Enix. It was originally released for the Famicom on 11 February 1990 in Japan. A North American NES version followed in October 1992, and would be the last Dragon Quest game localized and published by Enix's Enix America Corporation subsidiary prior to its closure in November 1995, as well as the last Dragon Quest game to be localized into English prior to the localization of Dragon Warrior Monsters in December 1999. The game was remade by Heartbeat for the PlayStation, which eventually was available as an Ultimate Hits title. This was followed with a second remake developed by ArtePiazza for the Nintendo DS, released in Japan on 22 November 2007. This remake was released in Australia on 11 September 2008, in Europe on 12 September 2008 and in North America on September 16, 2008. A version based on the Nintendo DS remake for Android and iOS was released in 2014. Dragon Quest, titled Dragon Warrior when initially localized to North America, is the first role-playing video game (RPG) in the Dragon Quest media franchise. It was developed by Chunsoft for the Family Computer and published by Enix in Japan in 1986 as Dragon Quest and by Nintendo in 1989 in North America for the Nintendo Entertainment System. Dragon Quest has been ported and remade for several video game platforms, including the MSX, PC-9801, Super Famicom, Game Boy Color, Nintendo 3DS, PlayStation 4 and mobile phones. In play, players control a hero character who is charged with saving the Kingdom of Alefgard and rescuing its princess from the evil Dragonlord. 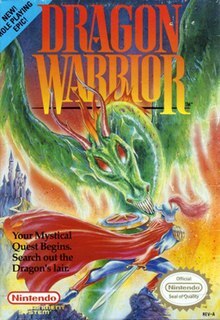 Dragon Warrior's story became the second part in a trilogy. 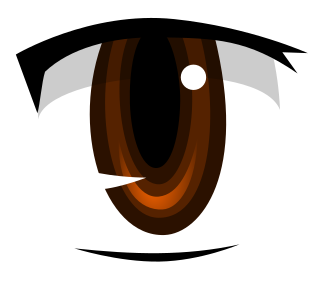 Several more anime and manga series, which revolved around this overarching plot were created. Dragon Quest III: The Seeds of Salvation, titled Dragon Warrior III when initially localized to North America, is a role-playing video game developed by Chunsoft and published by Enix. It is the third installment in the Dragon Quest series and was first released for the Family Computer (Famicom) in Japan and later for the Nintendo Entertainment System (NES) in North America. The game saw an enhanced remake for the Super Famicom in 1996 and the Game Boy Color in 2001, and a port to mobile phones and the Wii in 2009 and 2011. A version of the game for Android and iOS was released in Japan on September 25, 2014, and worldwide as Dragon Quest III: The Seeds of Salvation on December 4, 2014. It was the first time the game was given an official English subtitle. 1-Up Studio Inc., formerly Brownie Brown Inc., is a Japanese Nintendo-funded and owned video game developer founded on June 30, 2000 in Tokyo, Japan. On February 1, 2013, the company announced that due to their recent co-development efforts with Nintendo, that they were undergoing a change in internal structure, which included changing the name of their company to 1-Up Studio. The Japanese video game developer and publisher Square Enix has been translating its games for North America since the late 1980s, and the PAL region and Asia since the late 1990s. It has not always released all of its games in all major regions, and continues to selectively release games even today depending on multiple factors such as the viability of platforms or the condition of the game itself. The process of localization has changed during that time from having a one-person team with a short time and tight memory capacities to having a team of translators preparing simultaneous launches in multiple languages. 1 2 3 "ENIX-OUTLINE OF THE COMPANY-". archive.org. 3 June 2002. 1 2 "Wayback Machine" (PDF). archive.org. 8 March 2003. 1 2 3 4 5 6 7 Square Enix. "Square Enix History (timeline)". Square Enix. Archived from the original on May 30, 2007. Retrieved 2007-08-20. ↑ David Smith (June 16, 2005). "Feature: What's in a Name?". 1UP.com . Retrieved 2008-07-27. 1 2 "Game software firms Enix, Square to merge on April 1". 27 November 2002 – via Japan Times Online. ↑ Gotemba, Goro & Iwamoto, Yoshiyuki (April 2, 2006). Japan On The Upswing: Why the Bubble Burst and Japan's Economic Renewal. Algora Publishing. p. 199. ISBN 978-0-87586-461-7. ↑ Koehler, Chris (September 4, 2004). Power-Up: How Japanese Video Games Gave the World an Extra Life. United States: Brady Games. p. 84. ISBN 978-0-7440-0424-3. 1 2 3 4 "スクウェア・エニックス・ホールディングスの沿革 - Stockclip". www.stockclip.net. 1 2 3 4 Fujii, Daiji (January 2006). "Entrepreneurial choices of strategic options in Japan's RPG development" (PDF). Faculty of Economics, Okayama University. Archived from the original (PDF) on 2007-09-30. Retrieved 2008-06-01. 1 2 Rusel DeMaria; Johnny L. Wilson (2004). "Across the Pacific". High Score! : The Illustrated History of Electronic Games (2nd ed.). McGraw-Hill Professional. p. 374. ISBN 978-0-07-223172-4. ↑ "Square Enix: February 2, 2004 - February 4, 2004" (PDF). Square Enix. 2004-02-04. p. 27. Archived (PDF) from the original on February 13, 2012. Retrieved 2008-07-31. ↑ IGN staff (January 9, 1997). "Enix To Develop Titles For The PlayStation". IGN. Archived from the original on June 6, 2011. Retrieved 2008-07-19. ↑ IGN staff (January 16, 1997). "Enix/Sony Update". IGN. Archived from the original on December 27, 2008. Retrieved 2008-07-19. ↑ "Transfers to 1st section". Tokyo Stock Exchange. March 2008. Archived from the original on September 28, 2008. Retrieved 2008-07-29. ↑ IGN staff (June 18, 2001). "Square, Enix and Namco Reveal First Tie-up Details". IGN. Archived from the original on June 4, 2011. Retrieved 2008-07-19. ↑ Long, Andrew (June 4, 2001). "Enix Acquires Share In Game Arts". RPGamer. Archived from the original on November 6, 2006. Retrieved 2007-07-29. ↑ IGN staff (April 28, 2000). "Dragon Quest VII Sells Like Crazy". IGN. Archived from the original on January 22, 2007. Retrieved 2008-06-01. ↑ Long, Andrew (November 14, 2001). "Enix Announces Figures". RPGamer. Archived from the original on March 11, 2005. Retrieved 2007-07-29. ↑ Long, Andrew (2003). "Square-Enix Gives Chrono Break Trademark Some Playmates". RPGamer. Archived from the original on 2011-08-03. Retrieved 2008-06-01. ↑ Anoop Gantayat (November 25, 2002). "Square and Enix Merge". IGN. Archived from the original on July 5, 2008. Retrieved 2008-07-19. ↑ "History". Square Enix Holdings. Archived from the original on 2012-03-01. Retrieved 2009-12-04. ↑ "Corporate Profile". Square Enix Holdings. Archived from the original on 2016-04-10. Retrieved 2016-09-08. ↑ 会社概要 (in Japanese). Square Enix. Archived from the original on 2012-05-14. Retrieved 2011-05-10. ↑ "Digital Entertainment Academy history" (in Japanese). Digital Entertainment Academy. Archived from the original on 2007-12-19. Retrieved 2008-07-21. ↑ "Square Enix enhanced a presence in the Chinese online and mobile game market with a 100% Square Enix subsidiary based in Beijing" (PDF). Square Enix staff. February 28, 2005. Archived (PDF) from the original on May 6, 2006. Retrieved 2008-07-27. ↑ "Gamasutra - Selecting Save on the Games We Make, Part 1". www.gamasutra.com. ↑ "Enix on a Quest". Nintendo Power . Epic Center. No. 80. Nintendo of America. January 1996. p. 58. ↑ "Enix Corp". 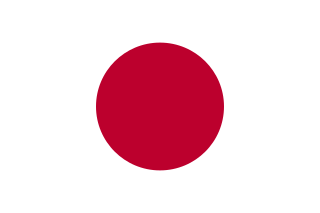 Japan-U.S. Business Report. November 1, 1999. ↑ Averill, Alan (March 1995). "King Arthur & the Knights of Justice". Nintendo Power. Epic Center. No. 70. Nintendo of America. p. 36. . "Our first Epic Center developer focus zooms in on King Arthur & the Knights of Justice from Enix. Manley & Associates is breaking ground with this game as the first American developer of a major adventure for Enix." ↑ Tidwell, Mike (August 3, 1999). "News from Enix". RPGamer. Archived from the original on March 10, 2005. Retrieved 2008-07-29. ↑ Stone, Cortney (2003). "Enix America Shuts Down". RPGamer. Archived from the original on 2006-11-06. Retrieved 2007-09-11. ↑ "ABOUT ENIX". archive.org. 29 November 1999. ↑ "IR Roadshow Document (June 28, 2004 - June 30, 2004)" (PDF). Square Enix. July 7, 2004. Archived (PDF) from the original on May 6, 2006. Retrieved 2008-08-04. ↑ "Enix to step up fingerprint ID system operations". Japan Computer Industry Scan. October 23, 2000. ↑ "Enix, Waseda Univ. to tie up on broadband content on sports". Japan Weekly Monitor. September 17, 2002.